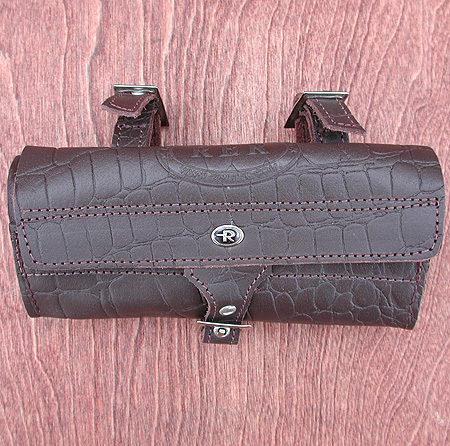 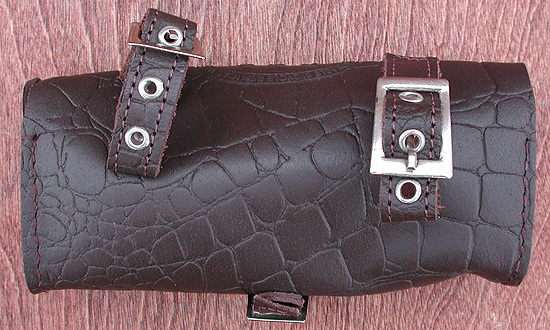 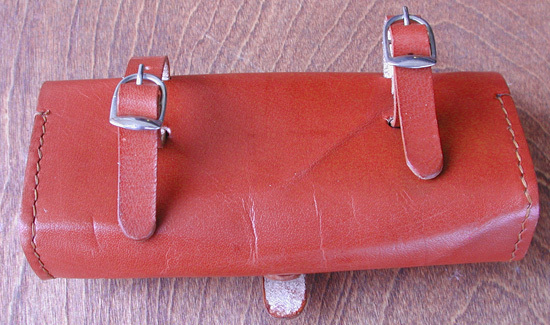 This New Leather Tool Bag Measures about 6 1/2" wide, 1 1/2" deep & 2 1/2" tall. 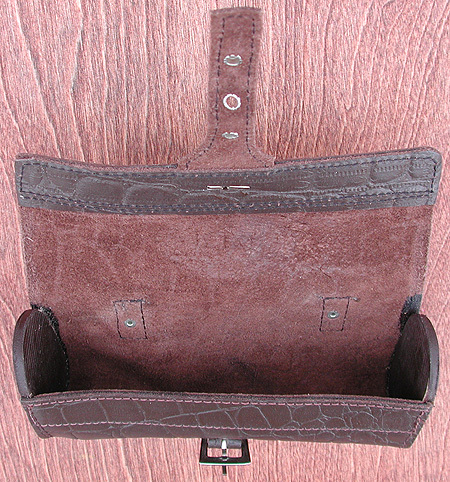 2 adjustable straps let you easily mount it to your seat, handlebars etc.. Tool Bag comes in Dark Brown or Light Brown. 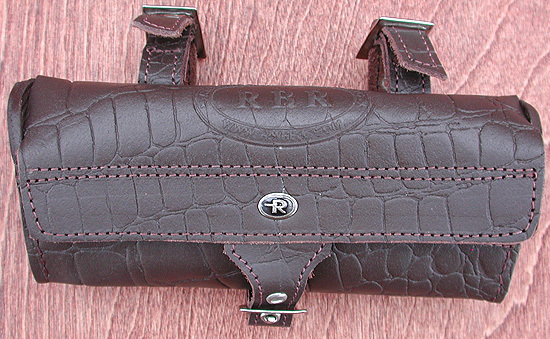 Perfect for hauling Tools, Candy, Cell phones, Pickles, Minis, you get the picture. 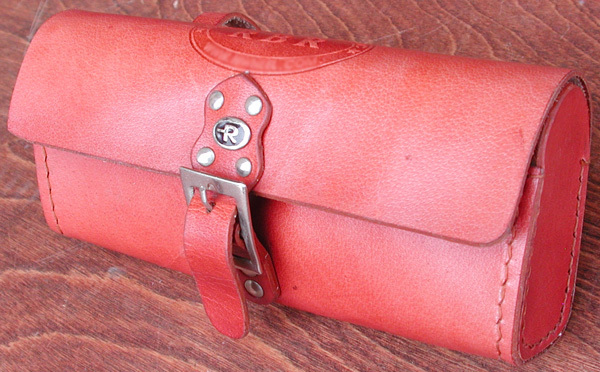 A Nice Retro Leather tool bag.